South Orange County is far more at risk for future water shortages than the rest of the county, according to the final draft of a water-needs forecast received Wednesday by the Municipal Water District of Orange County’s board. 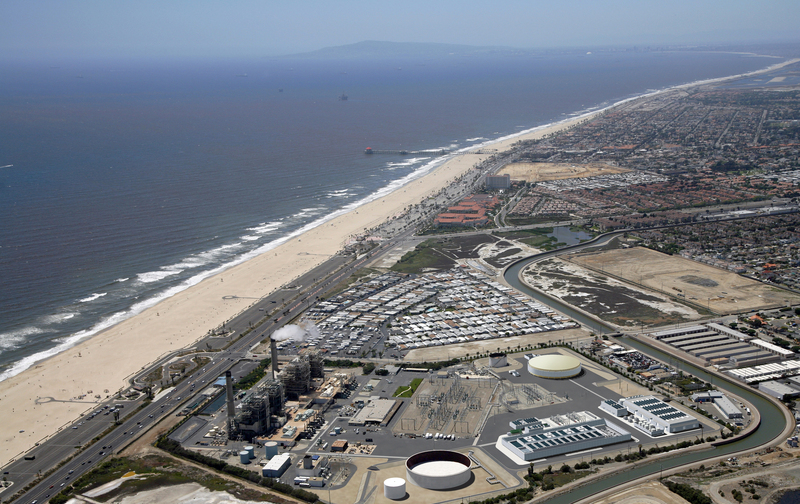 The Poseidon desalination plant planned for Huntington Beach continues to rank lowest in cost effectiveness, with questions also raised about the need for the $1 billion project. The 261-page report updates MWDOC’s 2016 forecast, reflecting the increased likelihood that the California WaterFix tunnels will improve the reliability of flows imported from northern California. The ranked comparison of five major water projects planned throughout the county, which was not in the 2016 study, has spurred criticism from other agencies, with three local water districts writing letters opposing such rankings. Among opponents is the Orange County Water District, which has approved non-binding contract terms for the $1 billion privately run Poseidon proposal. “Having the MWDOC study in effect telling your member agencies how they should spend their money is not appropriate,” OCWD General Manager Michael Markus wrote. But the staff at MWDOC, which oversees most water imported into the county, has stood by the report, which was prepared by consultant CDM Smith. “The intent of these project comparisons is to provide independent, objective and consistent information that can be used by local decision-makers,” reads the final draft. “It is not the purpose of this study to dictate which projects local water agencies should implement.” Letters supporting the rankings were filed by two local water districts whose projects fared well in the analysis. No local water districts presented additional comment at Wednesday’s meeting. The final draft was received by the MWDOC without objection Wednesday. Further written comment on the report will be received until Jan. 14, when the district’s Planning and Operations Committee can either give the final acceptance or forward it to the full board for additional consideration, according to district General Manager Robert Hunter. The rankings of key projects remain unchanged from the draft outline first released in September, although the potential cost to consumers for Poseidon water has been recalculated upward. The Poseidon project, which still needs two key permits, is considered a hedge against future droughts and shrinking imported supplies. But if water from northern California and the Colorado River continues to flow without reduction, Poseidon water could end up costing customers nearly $400 million more than the imported water, up from nearly $250 million, according to the final draft. Different needs South Orange County is in the most precarious position for future supplies because it has virtually no groundwater and must import 90 percent to 95 percent of its needs. Based on four different imported-water supply scenarios, it could face shortages of 10,000- to 45,000-acre feet annually by 2050 during extreme events. An acre-foot provides enough annual water for about 2 1/2 three-person households, according to MWDOC. La Habra and Brea import just 10 percent of their water, providing a high-level of insulation from imported water shortages resulting from drought and earthquake damage to pipelines and aqueducts. Sign up for our Coast Lines newsletter, a weekly digest of news and features on how the residents of the SoCal coast are building ties to their changing environment. Subscribe here. The rest of north and central Orange County imports about 25 percent of its water. The MWDOC report predicts in the best case scenario, there would be no shortages there — and worst case, shortages of 22,000-acre feet annually. Imported water typically costs more than that from local sources, which also increases the desirability of more water options for South County. The rankings Of the five key Orange County water project proposals, three were divided into two parts for ranking purposes. The projects, ranked from most cost effective to least: Doheny desalination plant. 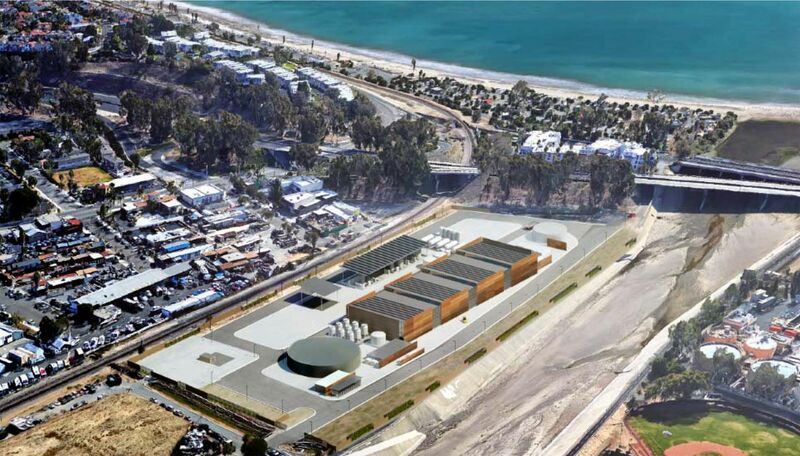 This project being pursued by the South Coast Water District would be less than a third of the size of the Poseidon plant and uses technology that environmentalists prefer to Poseidon’s. It would initially provide 5,000-acre feet for the water district, with the ability to expand to 16,000 if other south county districts want to participate. The broader proposal ranked first and the SCWD portion alone tied for fourth among the eight alternatives analyzed. Cadiz Water Bank. The Santa Margarita Water District is pursuing a plan to capture 5,000-acre feet a year from this project in San Bernardino County’s Fenner Valley. SMWD’s plan ranked second, while the possibility of importing another 5,000-acre feet a year from the bank to other agencies ranked sixth. [cq comment=”The following content will display as an info box.”] Related links Poseidon desalination plant: What to know about its pros and cons for Southern California water Tale of three desalination plants: Why the Doheny proposal is winning over some skeptics Poseidon desalination plant scores low in ranking of Orange County water projects Orange County officials give early approval to Huntington Beach desalination plant contract SoCal’s water district just OK’d nearly $11 billion for a piece of the WaterFix tunnel project [cq comment=”This is the end of the info box.”] Strand Ranch Water Bank. The Irvine Ranch Water District has purchased facilities in Kern County to tap into this water bank, which could provide the district as much as 17,500-acre feet during emergencies or when other imported water supplies are reduced because of drought. It could provide MWDOC 5,000-acre feet for a one-time emergency. The project ranked third. San Juan Watershed Project. SMWD is the lead agency for this project, which could increase south county groundwater supplies by 9,500-acre feet a year. It would trap ocean-bound stormwater and also use recycled water. This tied for fourth. Poseidon desalination plant. This OCWD project could produce 56,000-acre feet a year, with as much as 16,000-acre feet going to south county and the rest going to north and central Orange County. The south county portion of the project ranked seventh while the north and central county portion ranked eighth. It’s water would initially be the most expensive, with just one of the other analyzed projects costing more by 2050. Additionally, the report sites a series of smaller planned projects that could meet OCWD’s projected maximum shortfall of 22,000-acre feet. Why Eastern Pacific Ocean has seen its most active Hurricane Season Record? Arconic’s fourth chief executive in two years is trying to execute a much-delayed turnaround by ­focusing on operations. The board, though, remains mired in a long-running feud that threatens to cause yet another disappointment in the company’s short life.